- Click [Free Trial] from the menu on the left hand side and compose a survey according to the given directions. 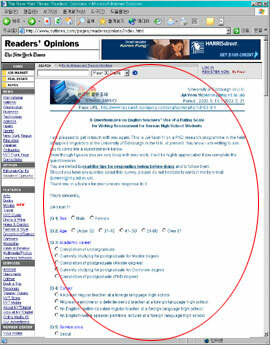 - Once the survey is composed, [User Menu] appears on the top right hand corner of the page. If there are any other cases which need more advanced options or special form, contact lee@hokyou.com with the rough draft attached; after a specific consultation, I will construct the survey page. Most of the contents are able to be formed exactly as they are on a paper survey. You should distribute your survey by yourself, in order to select the most appropriate respondent group, which in turn, determines the credit of your survey. The data will be ready for analysis in about 3~4 days after the distribution. Click "Send SurveyMail" in [User Menu] to send your survey to people you have selected. 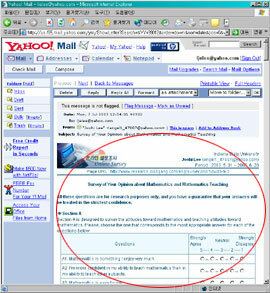 The receivers will be able to respond to your survey directly after opening the email. Click "Get source" in [User Menu] to copy the html source of your survey page. You can paste it on a web board and let others respond freely from on that page. After acquiring the html source by [Method 2], you can save it as a html document and publish it into a pop-up or webpage. These responded data are stored in Research.Joongang server and can be printed out or viewed as a graph, even in the middle of survey period. Click "Print (letter size)" in [User Menu] for printable version of the survey page. You can also print the graph by clicking print button in the graph window. Click "Support" in [User Menu] to request MS Word document or PowerPoint document of result graph. 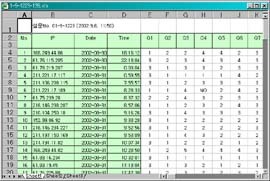 “Get Result Data" in [User Menu] lets you download an excel file of your result and analyse with various programs (Excel, Access, SAS, SPSS). 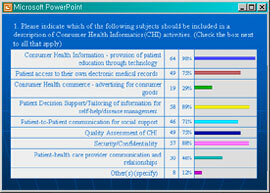 We will convert your survey data into a meaningful and informative report at cost. 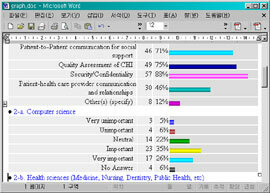 Copyright 2003 Joongang.com All rights Reserved. Contact lee@hokyou.com for more information.